Home / Savings Blog Posts / Recipes / Easy Dessert Recipes / Caramel Filled Cookies Recipe! I am excited to share this Caramel Filled Cookies Recipe with you before the Holidays! Make this Caramel Filled Cookies Recipe to share with your friends and family! I have been posting some of my favorite Caramel Recipes lately, so I wanted to share this one with you! 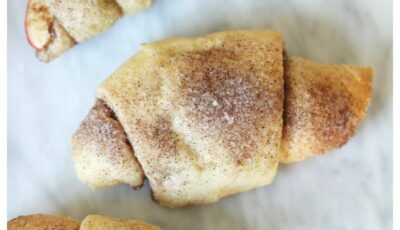 This is a super easy recipe to make for your kids after school, or for an after-dinner dessert! Your guests will fall in love with these Peanut Butter Caramel Filled Cookies! Nothing says fall and winter more than pumpkin, apple and caramel recipes – here are some of my favorites that you will love! Combine all three ingredients (not the caramels) in a Bowl and mix well, stir until well mixed. Press dough flat and place a Caramel on top of the cookie. Fold Edges together around the caramel and roll back into a ball form. Gently press down on a greased cookie sheet. Note: These are best served warm, if you let them sit the caramel will harden again and may be hard to chew, so I highly recommend serving these warm because everything will be nice and soft! 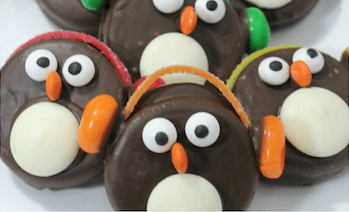 The best part about these cookies is that you can make them any time of year! I love having cookies ready when my kids get home from school. Food helps to open the mouth and open the heart. Create special memories and moments around “cookie time” in your home!